Rob Gronkowski was suspended one game for committing unnecessary roughness on Buffalo Bills cornerback Tre’Davious White. 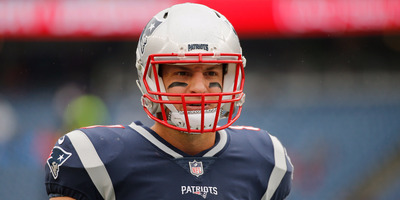 During a play in the fourth quarter, Gronkowski came behind White and hit him in the back of the head with his shoulder and arm, placing White into concussion protocol. The NFL on Monday announced that New England Patriots tight end Rob Gronkowski will be suspended one game for a hit on Buffalo Bills cornerback Tre’Davious White in Week 13. In the fourth quarter, after an interception on Tom Brady, White was face-down on the ground when Gronkowski came up behind him and jumped on him, shoving his shoulder and arm in the back of White’s head. Gronkowski was flagged, but not ejected for the play, while White was helped off the field and placed in the concussion protocol. The Patriots play the Dolphins in Week 14.